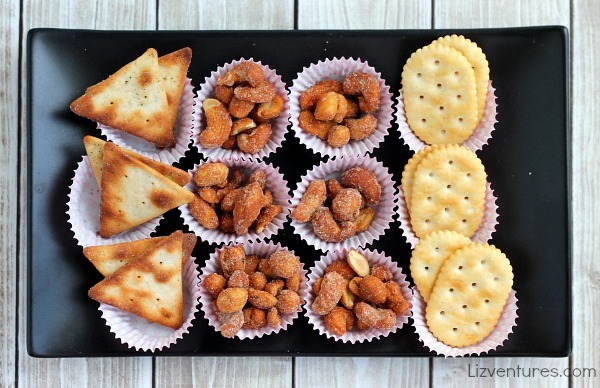 I started thinking about different ways to serve nuts as appetizers when I was asked to try the new Hampton Farms Honey Roasts line of premium nuts. They’re sweetened with real honey and then hand roasted in small bunches for the ultimate flavor and crunch, and oh my gosh, they’re good. It got me thinking about how rarely I see nuts at parties. Why is that? I think snack nuts are total crowd-pleasers. Am I going to the wrong parties? I decided right then and there that I’d make it a point to have nuts available at my parties, and the rest of you can either fix it or remain broken. 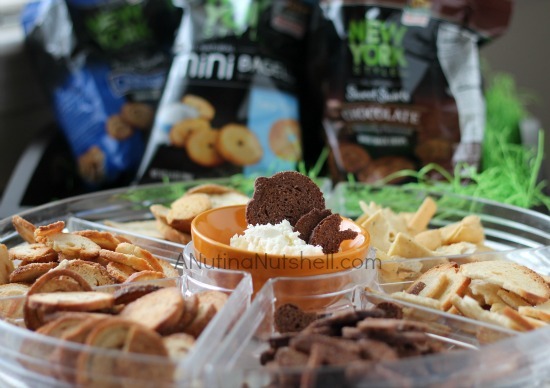 Mini Jars – Look for little jars or pretty cups that people can pick up for easy snacking. I like to use these little mason jar shot glasses. 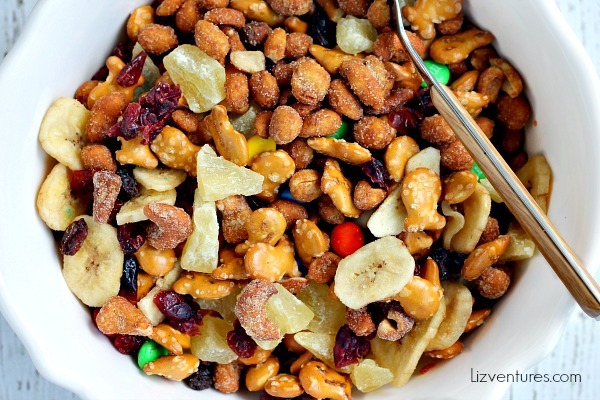 Trail Mix – Mix Hampton Farms Honey Roast nuts with some dried fruit, M&M’s, and Goldfish pretzel crackers for a sweet and savory snack blend. 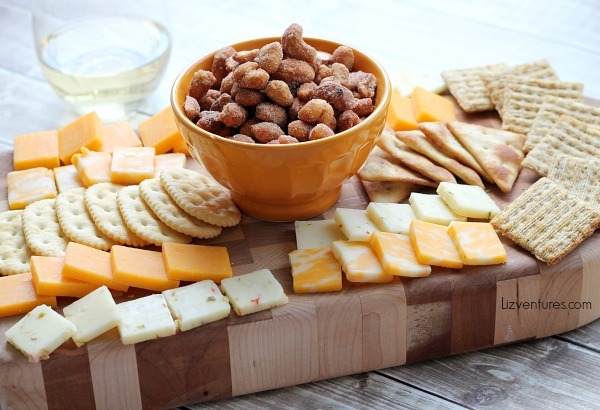 Nut, Cheese and Cracker Tray – Put a bowl of nuts and a selection of cheese and crackers on a pretty wooden cutting board. 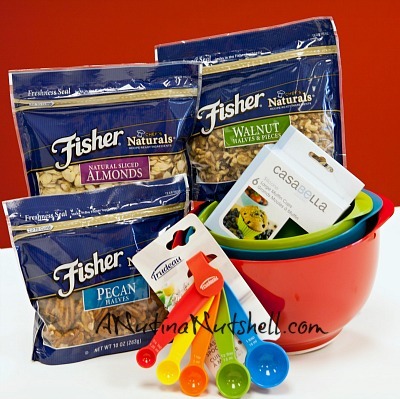 Nut Cups – Fill paper candy cups or mini muffin cups with a variety of nuts, crackers or cheese cubes. 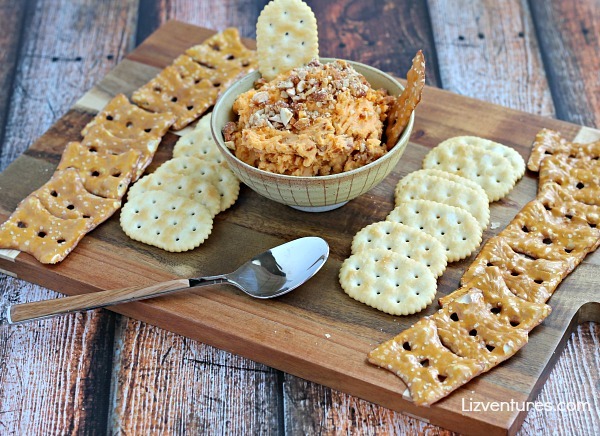 Nut and Cheese Dip – Chop up some roasted nuts, and mix with your favorite cheese dip in a bowl. 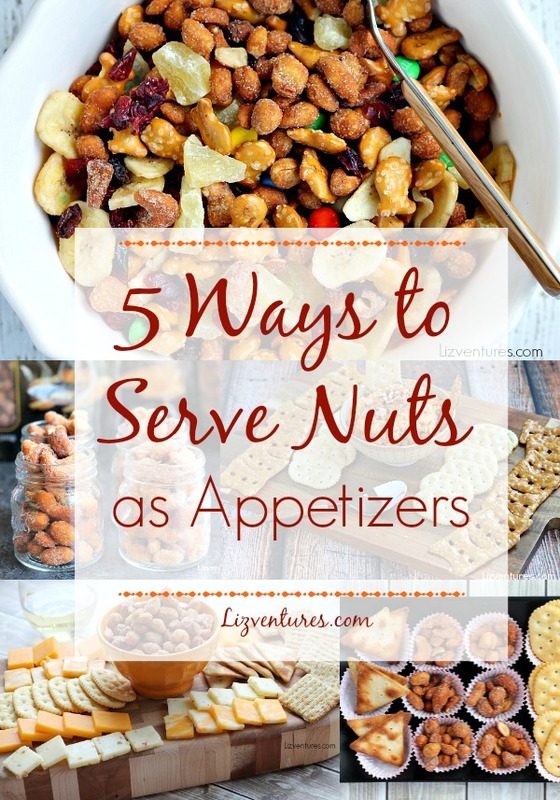 Sprinkle a few more chopped nuts on top, and serve with crackers and pretzels for spreading and dipping. 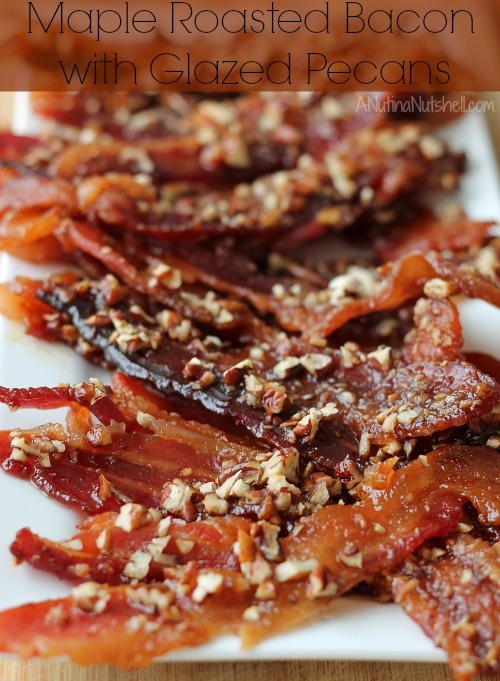 I used the Hampton Farm Honey Roast nuts in all of these serving suggestions. 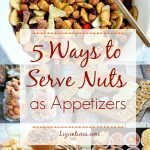 They come in four different flavors, so you can mix them up or choose a favorite flavor, and for the record, the Honey Chipotle Cashews are my favorite! Sweet and Salty Peanuts – Premium peanuts roasted, tossed in sea salt and sweetened with real honey. Honey Chipotle Cashews – Premium Cashews roasted and sweetened with real honey and spicy chipotle flavor. 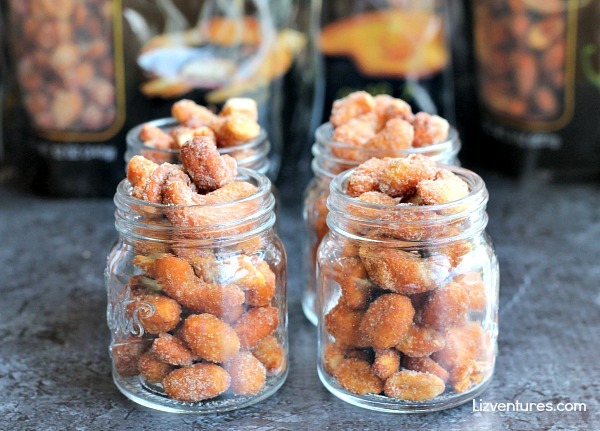 Honey Sweet Cashews – Premium cashews slow roasted and sweetened with real honey. Look for the Honey Roasts line exclusively at Publix! Visit HamptonFarms.com for more information on the Honey Roasts and other Hampton Farms nut products. 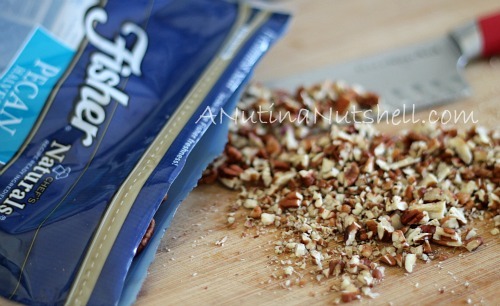 What are your favorite kinds of nuts? We’re deep into the heart of college football season, and it’s getting exciting. My two favorite teams are sitting at #1 and #2 in their division. Love it! I also love that I get to tailgate at home instead of freezing outdoors at the actual games. 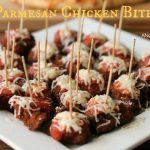 I wear jammies, wrap myself up in a blanket and enjoy my favorite game day foods, like pizza and my Parmesan Chicken Bites – bite-sized boneless chicken bites, cooked to a crisp and topped with Parmesan and melted cheese. 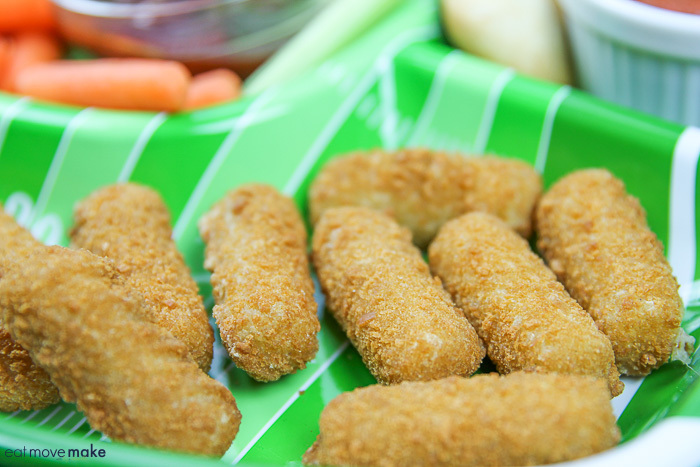 Cut chicken tenders into 1 inch pieces. Mix egg and milk in a bowl. Put breadcrumbs in separate bowl. 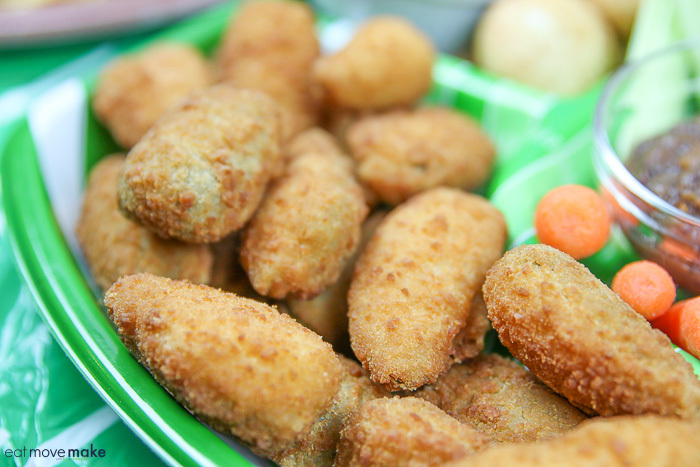 Dip chicken pieces in egg mix, then into bread crumbs. Drop into deep fryer or a pan with hot oil on stove top. (If using stove, use a high-walled pot and make sure oil is at least three inches deep. Place half of the chicken tenders into oil one at a time. Cook until golden brown and cooked through center. Scoop out with a slotted spoon and set aside on paper towel covered plate. Repeat with remaining chicken. 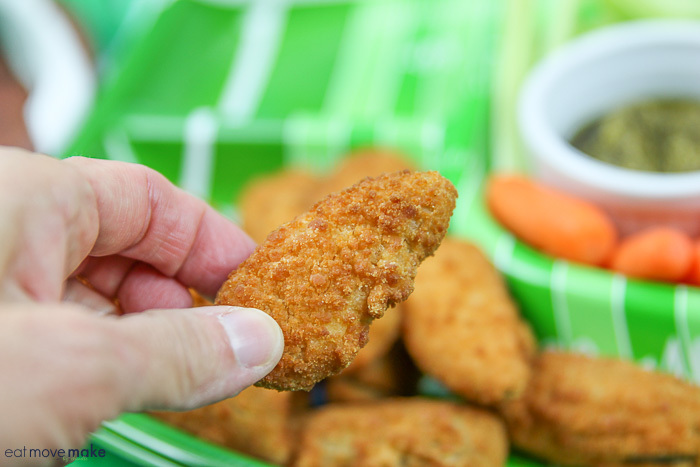 Arrange chicken on a microwave-safe dish. 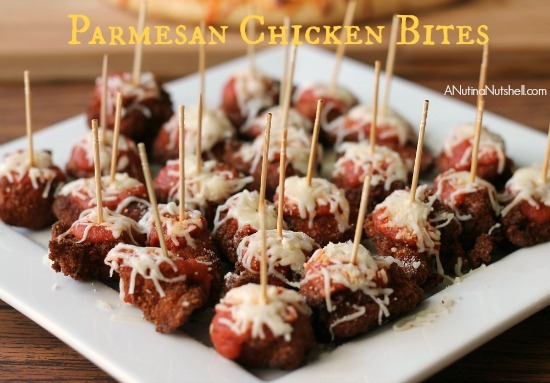 Preheat marinara sauce, then place a spoonful on each nugget. Sprinkle mozzarella cheese on top of sauce. Microwave on high until cheese melts (about 20-30 seconds). Sprinkle with grated Parmesan cheese. Insert a toothpick into each bite. Arrange on a serving platter and enjoy! 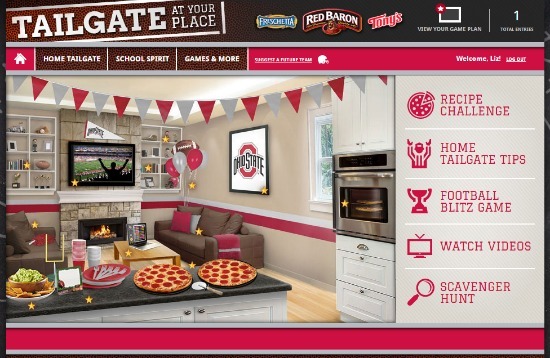 To elevate the excitement and fun of tailgating at home, Red Baron, Freschetta and Tony’s Pizza have designed “Tailgate at Your Place,” a digital destination to help you throw the ultimate home tailgate party while giving you the chance to win one of hundreds of prizes! You’ll find college football trivia and traditions, party tips, recipes and more. As you interact with the site, you get more chances to win! 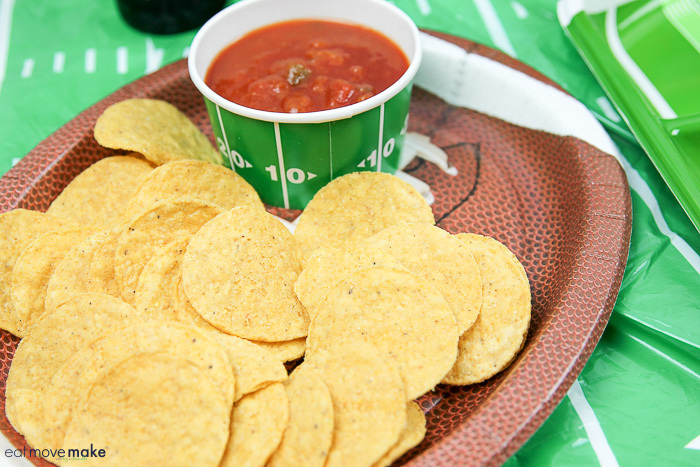 The site features tailgating recipe ideas with a weekly head-to-head recipe match-up. 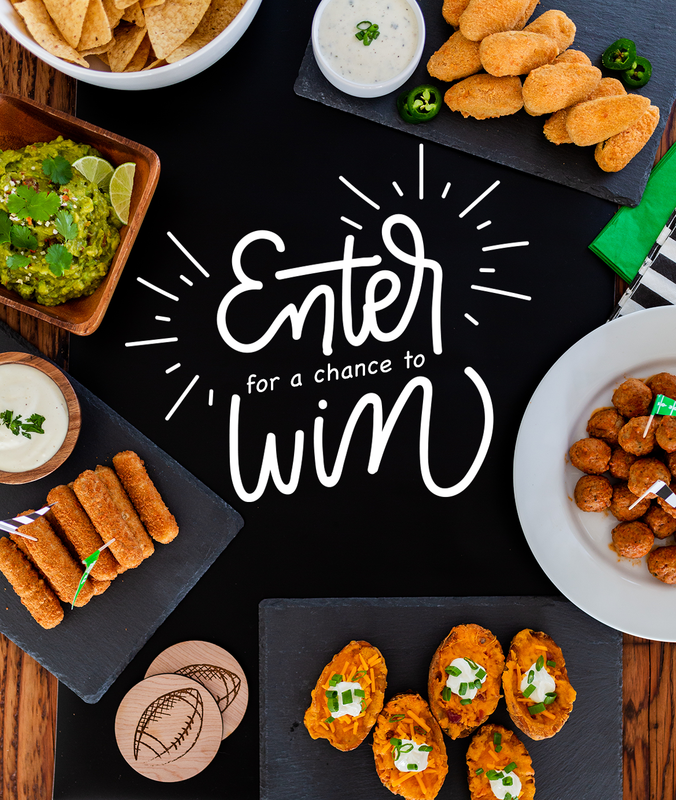 Voting for your favorite each week yields more sweepstakes entries! 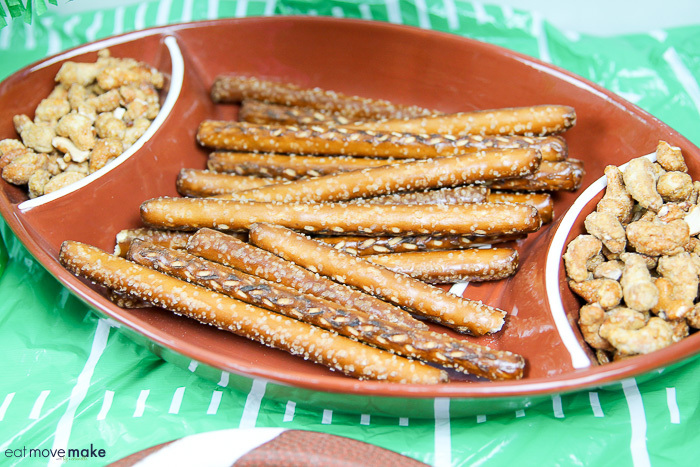 You can personalize your experience to include your favorite team too! Obviously, I’m a Buckeye fan. 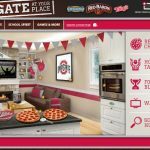 Your favorite pizza brands, Tony’s®, Red Baron® and Freschetta® are kicking off Tailgate at Your Place –a whole new tradition and virtual hub where you can earn sweepstakes entries for the chance to WIN prizes totaling $150,000! This post was created in partnership with Kraft. Recipe and opinions are mine. 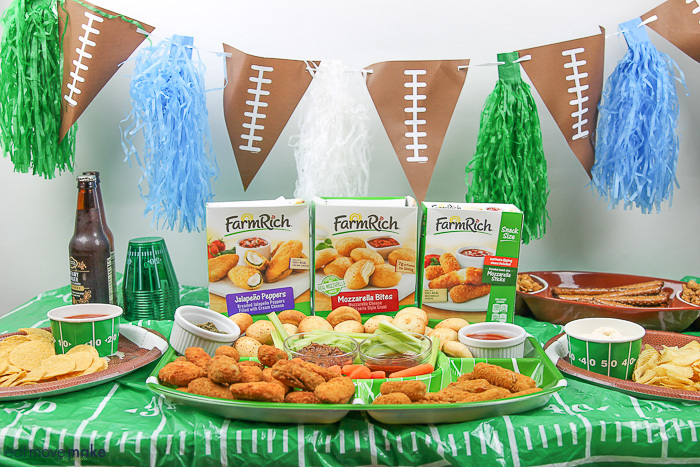 This month has so many sporting events to watch that it only seemed natural to come up with a snack to share with family and friends while enjoying all the fun. 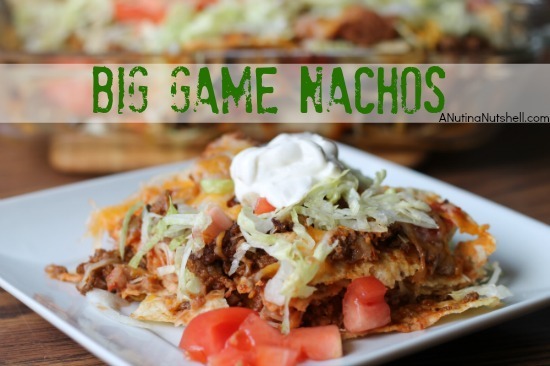 The perfect game day snack is nachos, of course, but I’m tired of making them the same old way, so I made a heartier, more satisfying version of nachos — Big Game Nachos….grrrrrrrr. 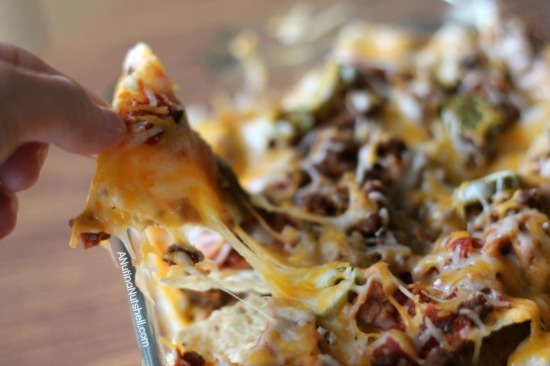 My recipe starts with a layer of nacho goodness, then another, then another and then one more! 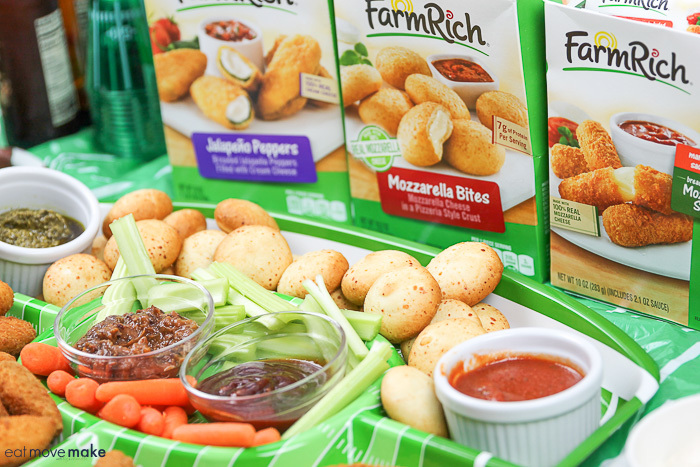 Four layers of snack happiness for you, and plenty more to share. Brown ground beef and then add taco seasoning mix according to package directions. In separate pan, heat refried beans. Line bottom of 8" x 11" baking dish with a layer of tortilla chips. Drop spoonfuls of meat, beans, salsa, onion, jalapenos and a third of the cheese. Add three more layers in the same way. 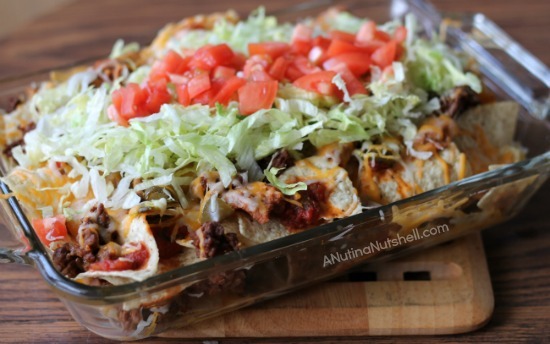 Remove from oven and top with shredded lettuce and diced tomatoes. 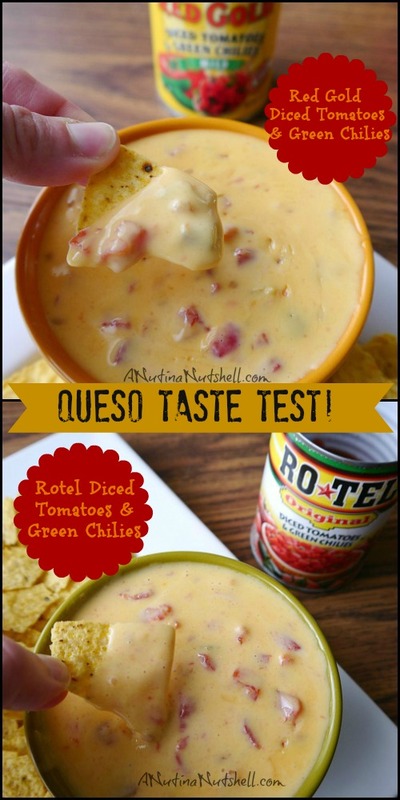 Serve with sour cream, salsa and guacamole if desired. 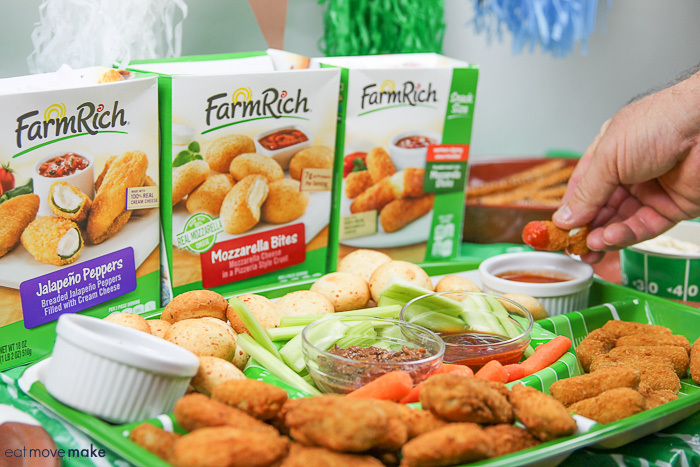 Appetizers are the best snacks for parties, right? They’re quick, easy and delicious, and they come in bite-sized portions so guests don’t feel guilty about getting seconds or thirds. 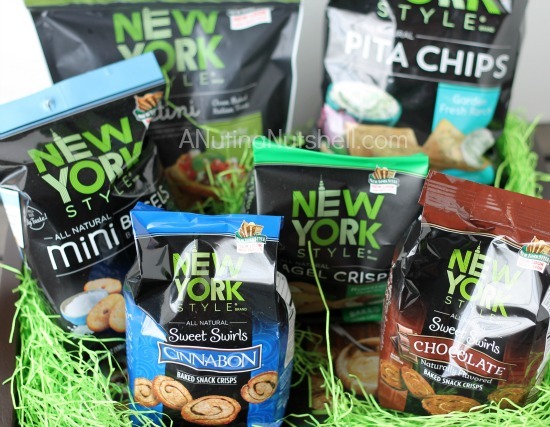 Right before the holidays, I was sent six bags of New York Style snacks as a hostess gift, so I took the opportunity to share them with friends and family. Twice! I like to have appetizers ready and waiting when the party starts, so I put everything out on a lazy Susan and let guests go get ’em! The zesty and crunchy chips come in big and small, and sweet and savory combinations. 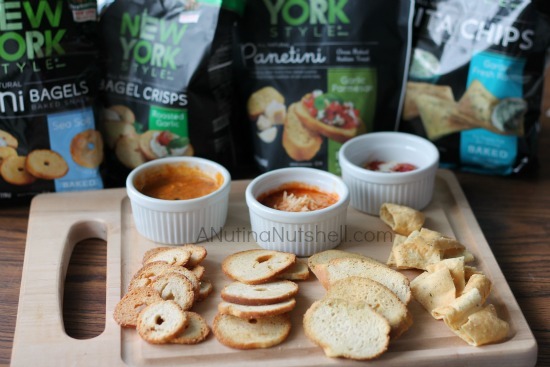 I tend to favor savory snacks, so I offered three different dips for me… I mean, everyone. I made a chili cheese dip, a marinara Parmesan dip and a cucumber bacon dip. 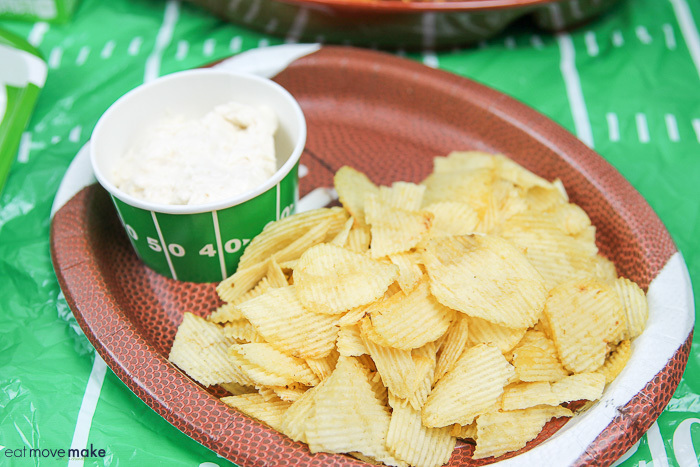 The fun part was watching everyone try all kinds of chips in all kinds of dips to see what they liked best! My favorite was the Panetini Italian toast with the marinara Parmesan dip! I swear I could eat that for a snack every day and be happy. The size is perfect for bruschetta too. The new Sweet Swirls chips were also a huge hit. With a subtle sweetness and a characteristic New York Style crunch, they make a delightful alternative to savory. 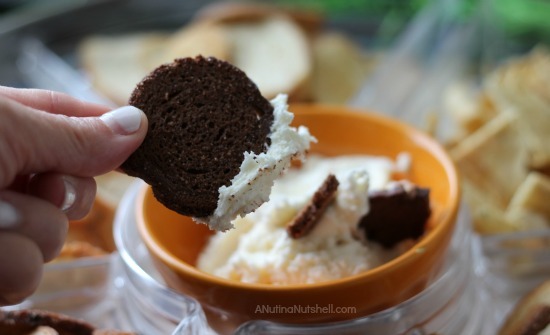 I put some vanilla frosting in a bowl to use as dip, and it was perfect! It turned them into luscious dessert cookies! New York Style snacks are available in a wide range of delicious flavors making them the perfect “Thing to Bring” snack! 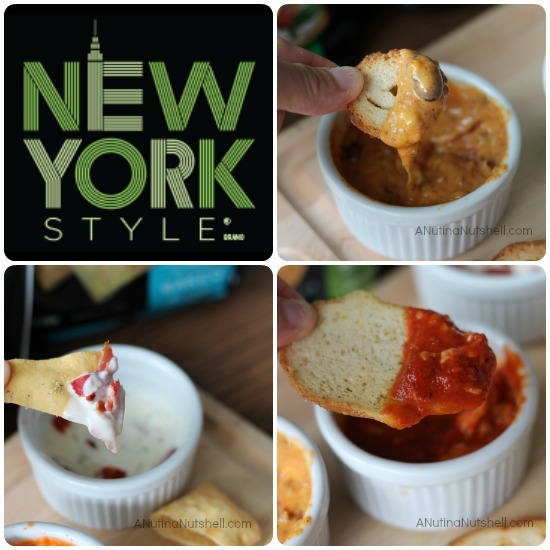 What kinds of dips would you like to try with some New York Style snack crisps and chips? I’ve mixed up pizza sauce, cheese and all kinds of breads and doughs for as long as I can remember, but the one thing I had never done was to add a hot, buttery seasoned glaze of happiness o’er the top. So I did it. Oh my word, why did I wait so long!!! I melted some I Can’t Believe It’s Not Butter, mixed in some seasonings and then brushed it on top of these freshly baked pizza croissants. Before I give you the recipe (adapted from The Girl Who Ate Everything,) let me just remind you why I’ve been extolling the virtues of using spreads instead of butter. I’m desperately trying to keep the heart disease family curse away from me, so using cholesterol-free spreads with 0g trans fats is super important to me. 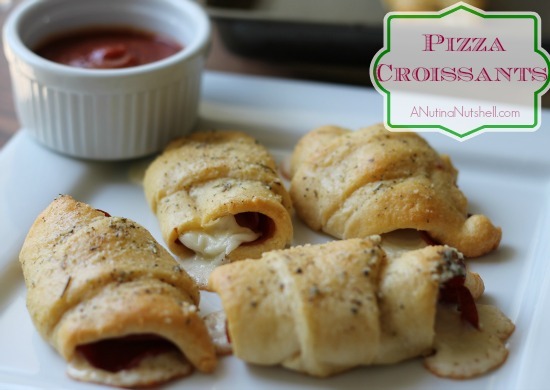 So anyway, here’s how I made these yummy pizza croissants. So easy! 2. 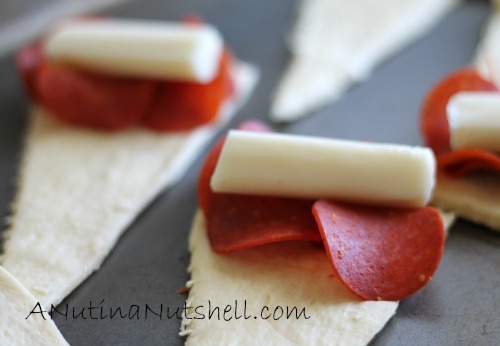 Place a few pepperoni slices (more if you want it loaded) onto the wide end of each dough triangle. 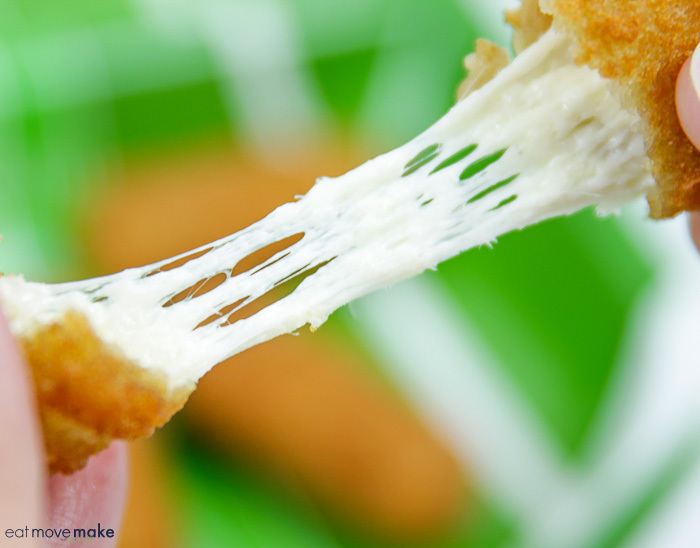 Place a cheese stick half on top and roll up. (I also made several without pepperoni, just cheese.) Place seam side down on a cookie sheet and bake for about 12-14 minutes or until a nice golden brown. 3. While croissants are baking… In a small bowl, mix together the melted I Can’t Believe It’s Not Butter and remaining ingredients. 3. Remove from oven, and with a pastry brush, gently brush the buttery spread over the tops of the freshly baked pizza croissants. 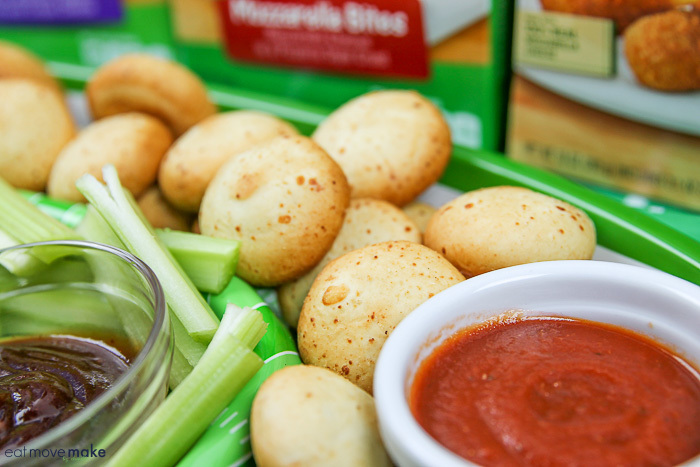 Serve immediately with pizza or marinara sauce for dipping. 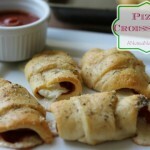 Mmmmmmm, hot, cheesy and buttery pizza croissants – enjoy! This is a sponsored post written by me on behalf of Unilever. All opinions are my own. A year ago, I would have given you the side eye if you suggested I #cookwithspreads. It was a preposterous notion in my mind. However, when my daughter was visiting for Christmas we decided to try using Country Crock to create a Cinnamon Roll Sauce, and we had the most delicious results evah! Since then, I’ve been experimenting like crazy. 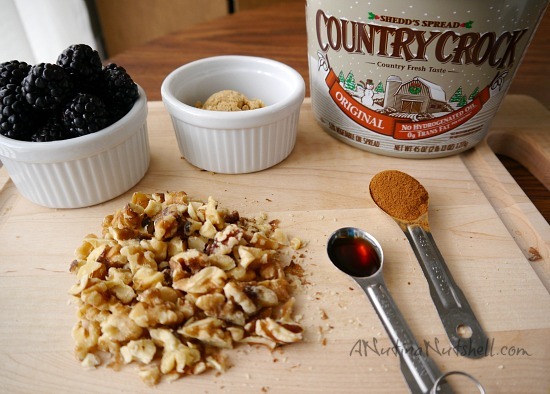 I use Country Crock and I Can’t Believe It’s Not Butter. I don’t prefer one over the other; I buy whichever is on sale at Walmart. They both have 70% less saturated fat than butter and 30% fewer calories, so I feel like I’m making a good nutritional choice in using it. 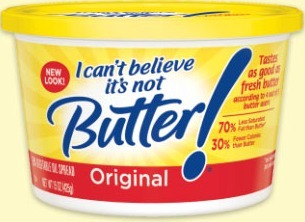 Actually, I Can’t Believe It’s Not Butter soft spreads have no cholesterol or hydrogenated oils either, so that means 0 grams of trans fats! 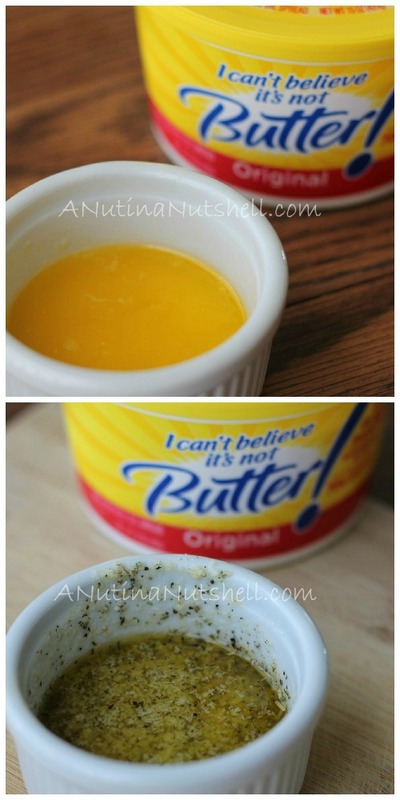 Plus, I like the fresh butter taste, so I’m not compromising when I use these in place of real butter in my cooking. 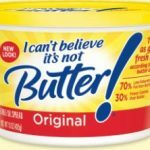 Recently, I was playing around with some I Can’t Believe It’s Not Butter spread, and ended up making yet another taste sensation. 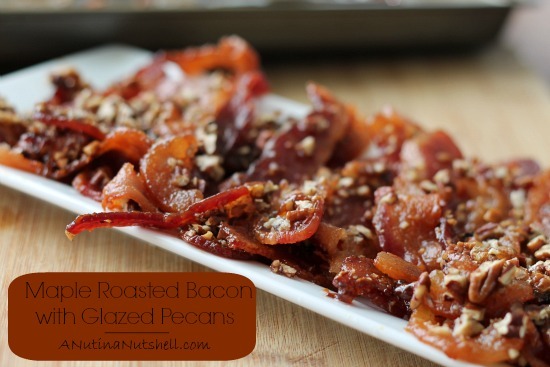 I’ll share the recipe with you in a later post, but…. I melted the butter spread, added some seasoning, and then used it to create a wonderfully savory appetizer/lunch. 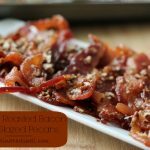 One lucky reader will win a $50 Walmart gift card so you can pick up some ICBINB spread and create a recipe of your own! 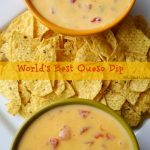 Let me just say that I don’t really know if this is the world’s best queso dip of all time ever created during the lifespan of humanity, but it sure is the world’s easiest! 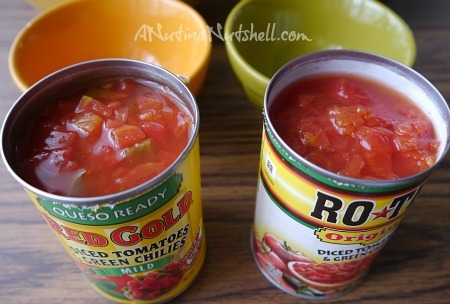 Here’s the dealio: Red Gold asked me to make their queso dip recipe twice, once with Red Gold tomatoes and once with Ro*Tel tomatoes. You think I’d say no to that? In microwave safe bowl combine the tomatoes and cheese. Microwave for 5 minutes or until cheese is melted; stirring after 2 minutes. 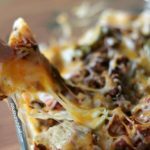 I should think a little ground beef might be tasty in there as well, but regardless, go ahead and dip away with your choice of tortilla chips, bread sticks or fresh veggies. Now you probably want to know the results of the taste test though, right? Too bad, because I couldn’t decide! I actually liked them both. 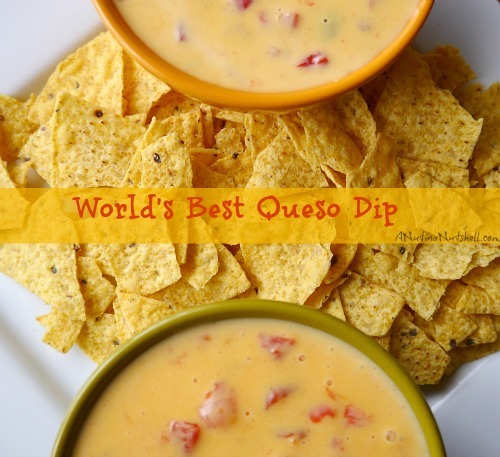 Tasting one, tasting twice, tasting queso dip is nice. Usually for my Super Bowl party, I make pizza, wings, nachos, meatballs, and chili, and I’ll definitely be doing that this year too. But I had a couple packets of Fleischmann’s RapidRise Yeast in the cupboard, so I thought I’d make a snack bread for the chili instead of my usual (and boring) crackers. Besides, made from scratch always tastes better than store bought everything! I remember my mom hosting a lot of parties when I was a child and she always had a huge array of homemade foods spread out on the counter for her guests. She would quickly make frozen dinners for us on those evenings, but her guests would feast like kings. After they had dessert, she would allow us to go into the kitchen and sample what was left. I think that’s when I realized what an enormous difference there was between already prepared foods and freshly prepared foods, and a love for baking and cooking began. The one thing she never did was bake fresh bread though, so I started experimenting with that when I was in college. Nothing is better than freshly baked bread! 1. 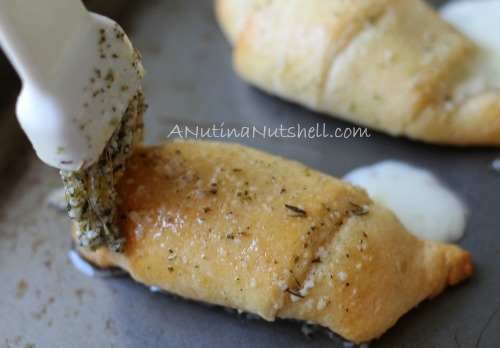 Combine 1-1/2 cups flour, undissolved yeast, Italian herb seasoning, salt and garlic in a large mixer bowl. Heat water and oil until very warm (120° to 130°F); gradually add to flour mixture. Beat 2 minutes at medium speed in electric mixer, scraping bowl occasionally. Add eggs and 1 cup flour; beat 2 minutes at high speed. Stir in 1 cup cheese and remaining flour to make a stiff batter. 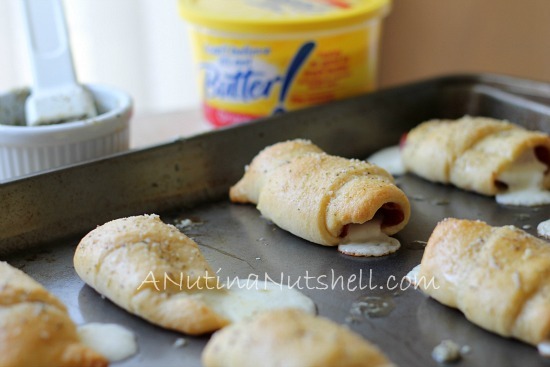 Spread batter on greased 15 x 10-inch jelly roll pan or rimmed baking sheet with at least 1-inch sides. 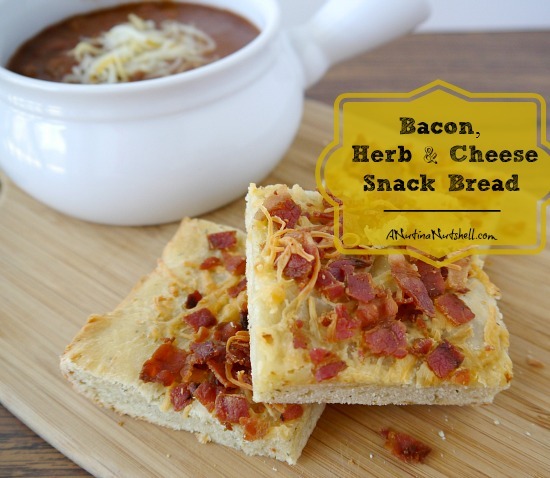 Sprinkle with remaining cheese; top with bacon. Cover; let rise in warm, draft-free place until puffy, about 30 minutes. 2. Bake at 375ºF for 25 to 30 minutes or until done. Cover loosely with foil during last 5 to 10 minutes of baking if cheese begins to overbrown. Remove from pan; cool on wire rack. Serve as strips or squares, or slice and use for sandwiches. 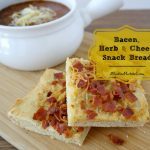 I cut it into 24 squares (160 calories each), and the flavorful bread bites paired beautifully with the chili. Plus, they were scrumptious on their own as well. Thanks for the recipe, Fleischmann’s! 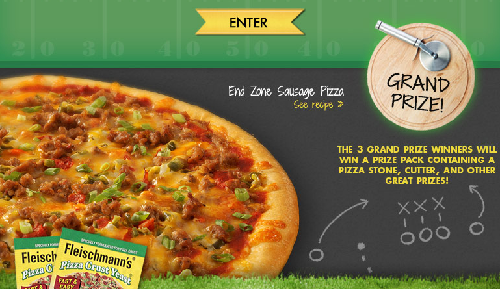 Be sure to enter the Fleischmann’s Big Game Pizza Crust Yeast Sweepstakes on Facebook. All you have to do is share your favorite pizza toppings! Not only is there a grand prize, but there are 50 daily prizes of Fleischmann’s Pizza Crust Yeast! Enter daily thru February 3, 2013. I participated in a campaign on behalf of Mom Central Consulting for ACH. I received a promotional item as a thank-you for participating. 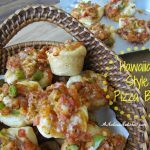 Hawaiian-Style Pizza Bites & Happy New Year! 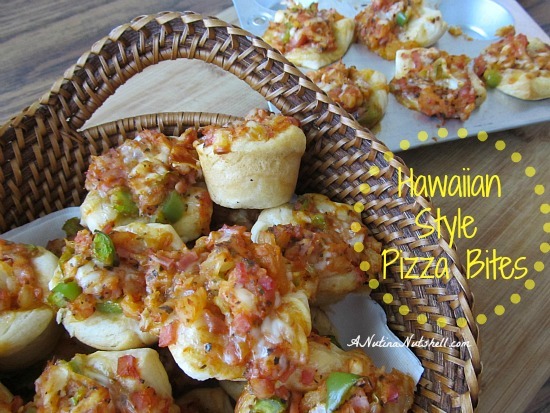 Bite-sized appetizers make the perfect party food, and these mini Hawaiian-style pizza bites are both kid and adult pleasing. I started with a Hormel recipe and tweaked it just a bit to my liking. 1. Heat oven to 350 degrees. Grease mini muffin cups. 2. To make filling, in bowl, combine Canadian bacon, cheese, bell pepper, pineapple, onion, pizza sauce and basil; mix well. 3. Cut each biscuit in half. (I used Grands which are larger so I cut them into fourths.) Place biscuit pieces in muffin cups, pressing gently to fit. Spoon heaping teaspoon of filling into each cup. 4. 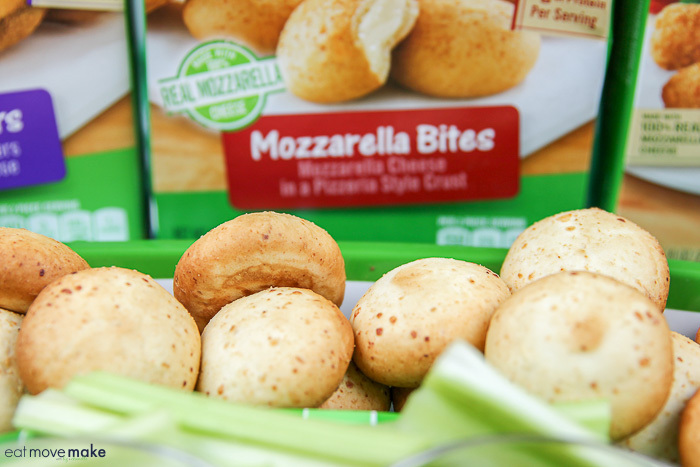 Bake pizza bites 20 to 25 minutes. Serve warm. Cut down on leftovers! Have a bunch of take-out containers ready, so you can send guests home with the extra treats! Not enough space for guests? Have an open house so guests can stop in anytime during party hours. When someone offers to bring something, say yes! 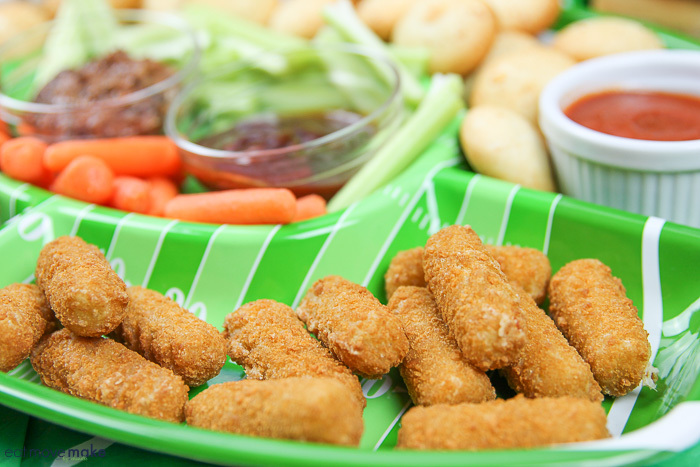 You can never have too many appetizers or side dishes. 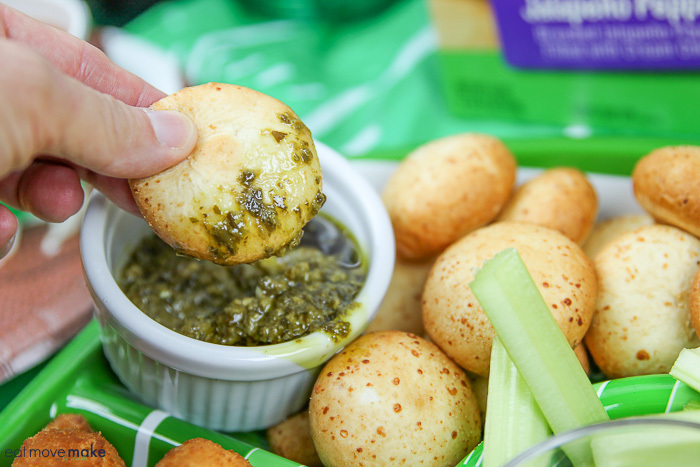 What’s your favorite appetizer that you’ve created or that you’ve been served at a party? 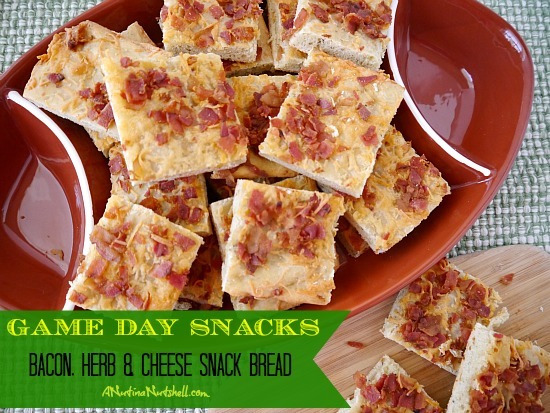 For more appetizer recipe ideas, visit Hormel Foods. 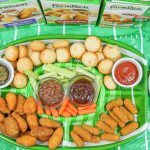 I am currently a member of the Hormel Foods Extended Blogger Program, and this post is part of my involvement in the Group. While Hormel Foods provides me material and necessary resources to complete various activities, all statements and sentiments expressed at A Nut in a Nutshell are my own.